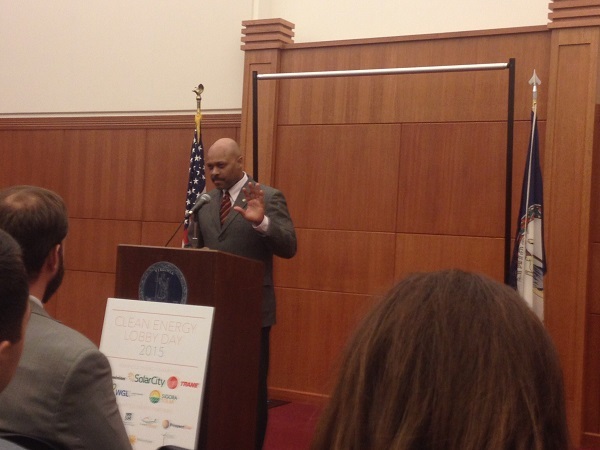 CAAV steering committee member Alleyn Harned and CAAV member Bishop Dansby participated in Clean Energy Lobby Day in Richmond on Tuesday, February 3, 2015. Read about Clean Energy Lobby Day from Ivy Main here. 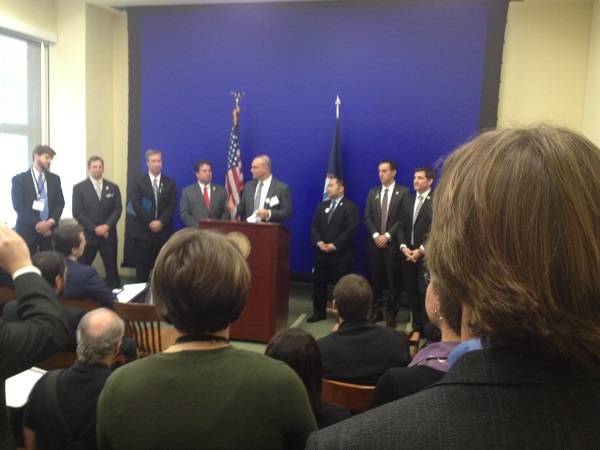 Francis Hodsoll, President, Virginia Advanced Energy Industries, kicks off the press conference at Clean Energy Lobby Day, February 3, 2015. Speakers included senators and delegates from both parties. Secretary of Commerce and Trade, Maurice A. Jones, meets with and takes questions from the renewable energy industry people. In addition to attendees from Virginia, there were some from other states, including Maryland and California. Maryland solar business owners pointed out that they can draw from a trained workforce, as Maryland community colleges award certificates in solar installation. Alleyn Harned, Virginia Clean Cities, networks with Francis Hodsoll. 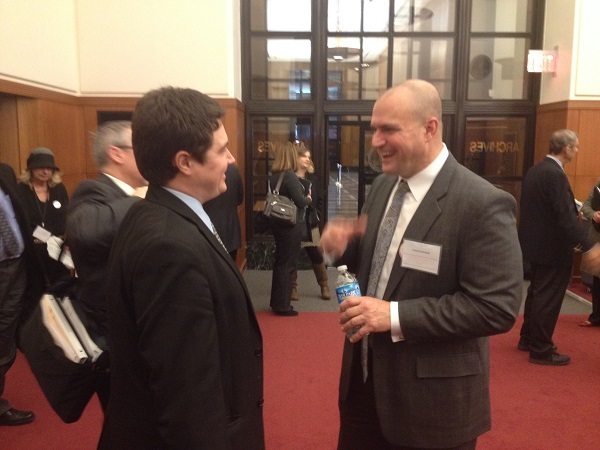 Clean energy day industry attendees were matched up to talk with legislators in their offices. Harrisonburg’s Alleyn Harned and Bishop Dansby visited with Arlington County Delegate Randy Minchew (R). They found Minchew to be very progressive on clean energy matters.